Greenwich 11u Cal Ripken Baseball are the District 1 Connecticut Champions! The OGRCC announced that Greenwich won the District 1 championship! In a dramatic fashion, Ryan Perez hit a walk-off 2 run home run in the bottom of the 6th to give the host a 3-2 victory over Norwalk. The game was extremely well played featuring great pitching, sharp defense and clutch hitting. Fittingly both Greenwich and Norwalk will move on to the Connecticut State Tournament which will be held in Danbury July 16-23. Good luck to both teams! The Greenwich All Star team is lead by Coach Ben Jones, Coach Brian Leidich, and Manager Joel Perez. The team includes: Trey Begasse, Javier Serra, Wyatt Gibson, Daniel Fox, Tyler Cusimano, Robert Rota, Nathan Jones, Caden Leidich, James Wallgum, John Freeman, Ben Jones, James Babb, Thomas Healey, Ryan Perez and Riley Redahan. 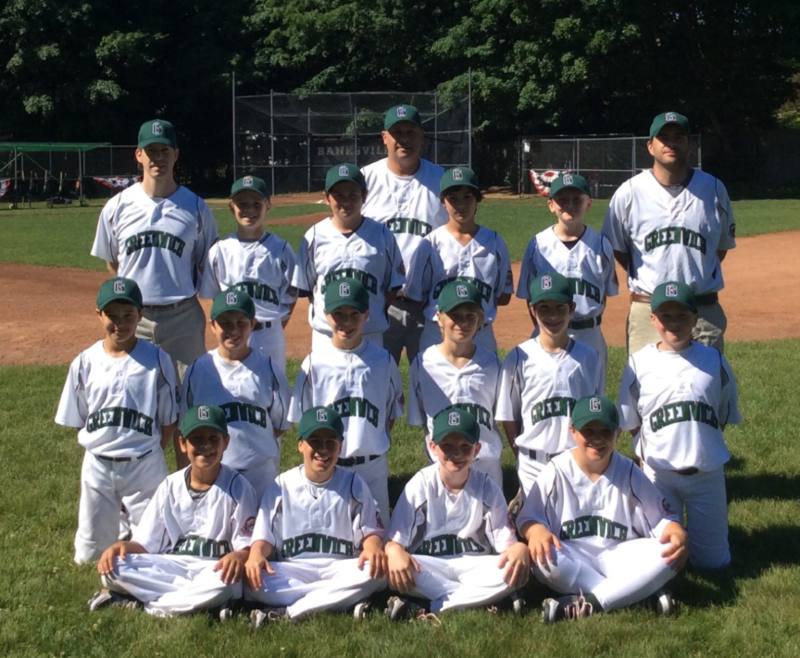 We hope that the community will join in cheering on the Greenwich Cal Ripken team at the Connecticut State Tournament! For more information, please contact the OGRCC offices at 203-637-3659. Sand Lot Kids' Wiffle Field of Dreams Mission is Accomplished!